New generation: DP air leak tester High-performance standard type LS-R700 | COSMO LEAK TESTER / COSMO INSTRUMENTS CO., LTD. Compact air leak tester with a focus on user-friendliness, equipped with a range of functions, now being sold as the high-performance standard type! 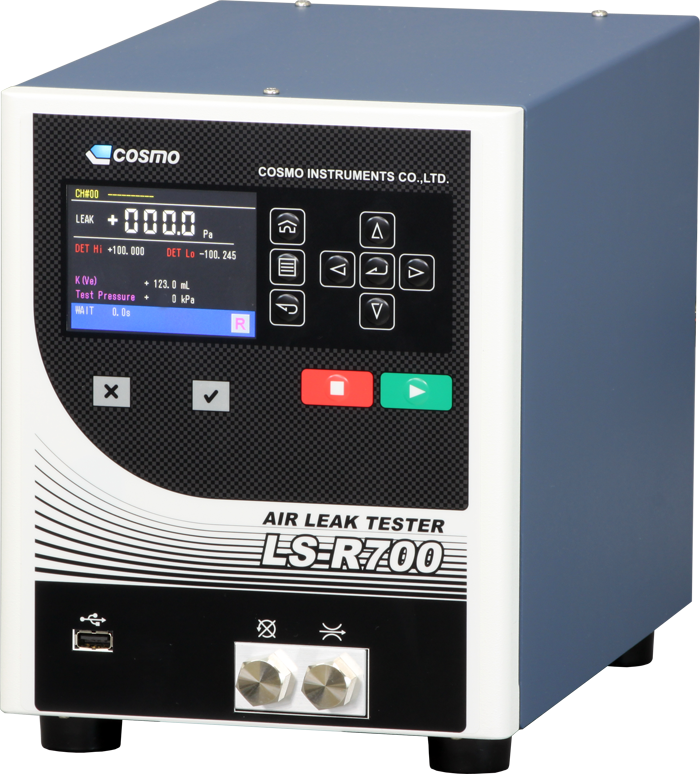 This new generation air leak tester combines the experience and know-how that Cosmo Instruments has nurtured over many years, with new functions and the newest technology. By improving display with color LED, and allowing for intuitive operation through the adoption of icons, the operation of the measuring instrument, which was reportedly difficult, has been made simple. The function to switch between Japanese/English/Chinese can be used in an instant in factories around the world. There are 3 types of measurement screens available. Can switch between different displays depending on if a simple display is desirable, or if you want to display various information. 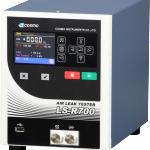 The LS-R700 is a new air leak tester that meets a variety of demands. The menu screen is easily displayed with an icon. You can understand in an instant the display of the program lock state and [M] manual/[R] remote. The language can be easily switched from here. 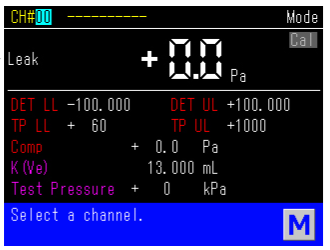 The above measurement screen is a detail screen. Each set value and necessary information can be viewed. The measured leak volume is simply displayed with the standard screen, and a waveform display screen is also available. The display method can be switched according to the situation. 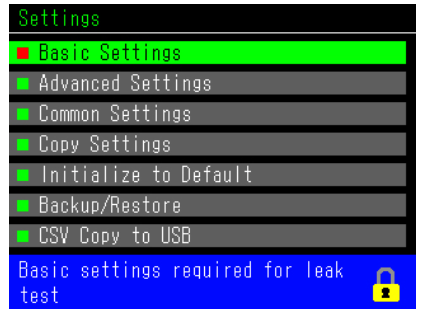 Menu screen for configuring settings related to leak test. Choose the required items, configure and copy, and the USB port can be used to download the settings value file. 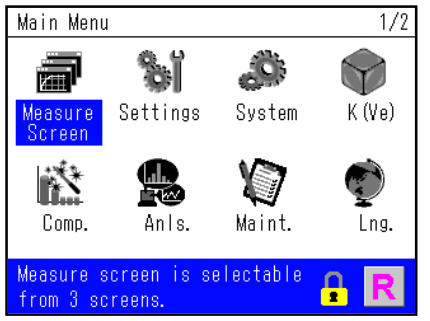 The blue bar beneath the screen is the guidance bar. The help text for the selected part is displayed in the guidance bar. Therefore it is possible to operate smoothly even without a user manual. Compact body allows for setting up in a variety of places. 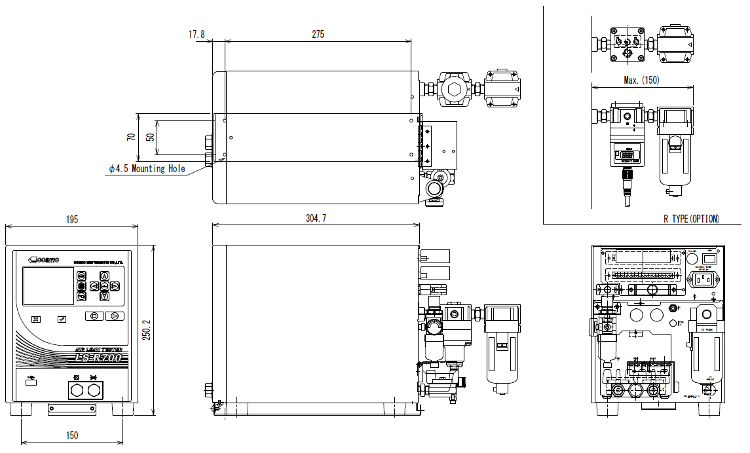 Vertical compact body with dimensions W195 x H250.2 x D304.7. 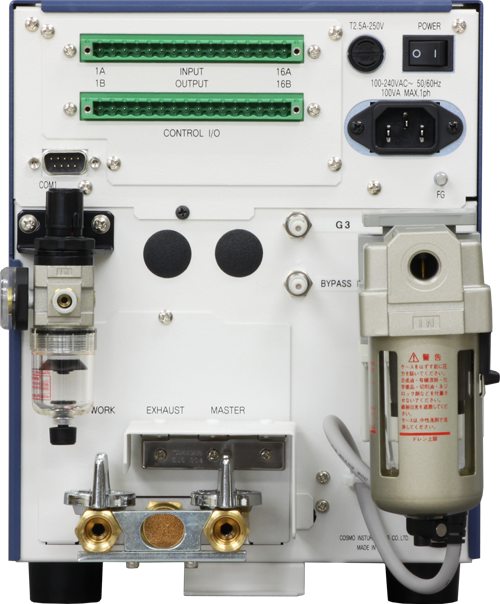 Despite its small size, all functions for running leak tests such as the intelligent pneumatic circuit are included. 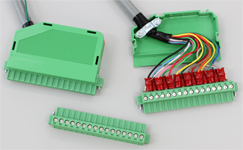 Phoenix Contact product was adopted for the controller I/O connector of the input/output interface. The connector is very reliable, and the wiring work can be done with a flat-head screwdriver, so that the work efficiency increases. Supports Japanese, English, and Chinese. Measurement data is automatically saved to USB memory. Other settings information can also be backed up with USB memory. The original pressure must be sufficiently higher than the test pressure. Applies 400 to 700kPa of clean air. Saving data Saves decisions, leak values, test pressure, WK#, CH#, and time on inserted memory. Large air flow rate, and sensor protecting circuits are included. Uses two-way delivery valve, reliability is ensured and self-check functions are fully available. 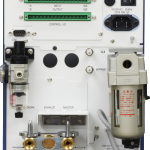 Leak MasterBuilt-in control valve During K (Ve) calibration and K (Ve) check, the calibration port automatically opens and closes. Not suitable for high pressure. Leak Master is sold separately. The valve that controls the bypass unit is built in. Bypass Unit is sold separately. Prevents running of test while stop valve is closed. The filter case of the pilot pressure connection is made of nylon. The filter case of the test pressure and pilot pressure connection is made of nylon.